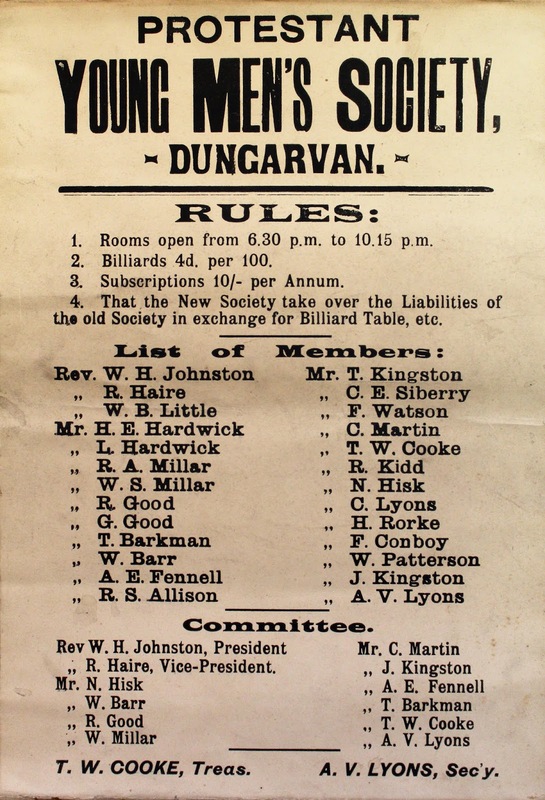 The poster details the rules and gives a list of members. The Secretary was A.V. Lyons and the Treasurer was Thomas W Cooke, the jeweller of Main Street. 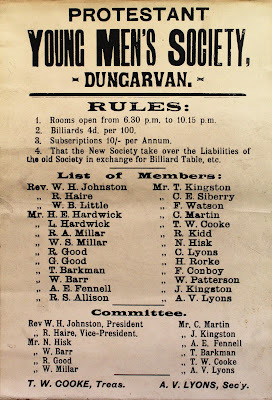 A number of the members were prominent business men of the period such as Hardwick, Millar and Siberry.